Following a successful pre-launch Kickstarter campaign in 2016, RIDE Skincare have gone from strength to strength with their range of natural skincare products aimed at those within the action sports community. They have now launched two new products; their Ride Recover natural moisturiser and Ride Protect sports mineral sunscreen SPF25, both designed with surfing and other boardsports in mind. After over three years of research, testing and product development Ride Skincare has launched its initial range of natural & organic skincare products aimed at the action sports market. 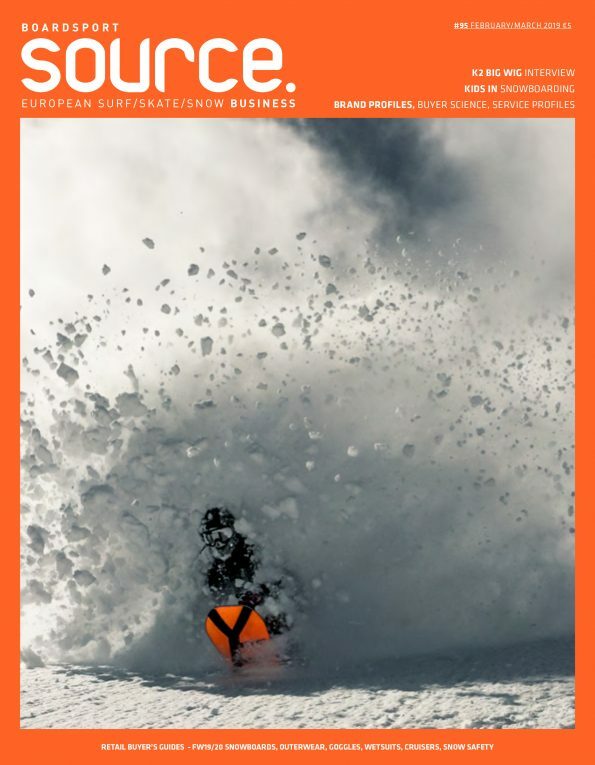 Ride Skincare was created by founder Tom Marshall in reaction to the lack of natural products on the market that were designed to work in the more demanding and extreme conditions experienced by surfers, cyclists, runners, boarders, sailors, skiers and riders. Ride Skincare is different because it has been designed to work in extreme outdoor conditions and uses natural and organic ingredients. It doesn’t matter if you’re in the ocean out on the road or up in the mountains, Ride Skincare won’t let you down! What products are Ride Skincare launching? Ride Skincare’s launch range is Ride Protect sunscreen and Ride Recover moisturiser. 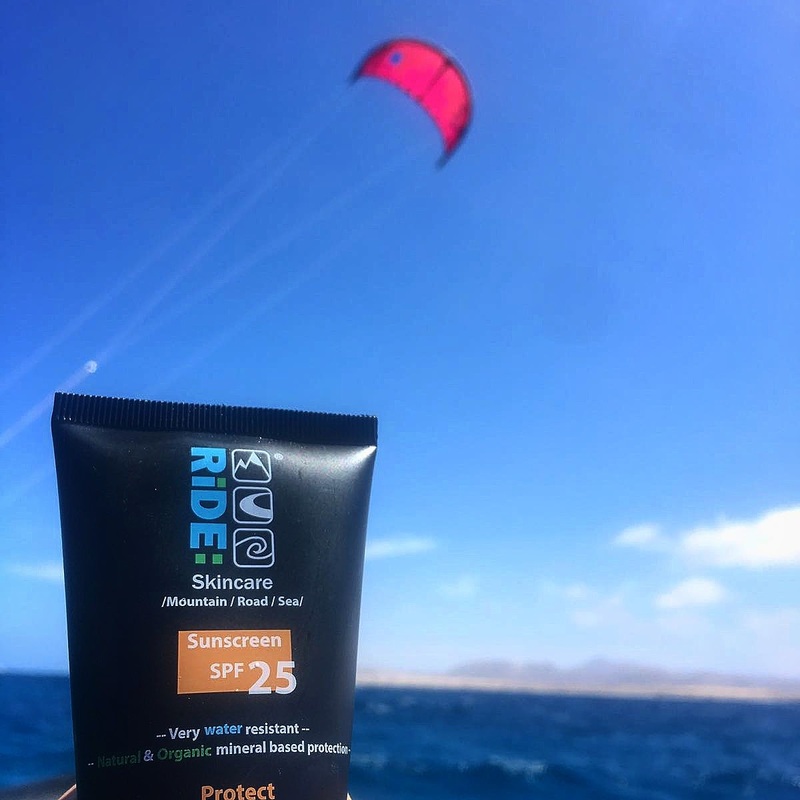 Ride Protect is a SPF 25 rated sunscreen that uses the mineral titanium dioxide as its active sun protection. Most normal sunscreens use a mixture of synthetic chemicals that absorb into the skin and break down the UVA and UVB rays. Mineral based protection like the titanium dioxide used in Ride Protect creates a barrier on top of the skin that reflects back the UVA and UVB rays, thus protecting the skin. Because this is a physical barrier it starts protecting your skin as soon as it is applied. It also protects from any wind burn and stops rain and saltwater drying out your skin with the help of organic jojoba and coconut oils. It’s easy to use and blends into the skin. Ride Protect has been extensively tested and has proven to be extremely water resistant, from surfing in the Atlantic to sweating out on the bike, it continues to protect your skin regardless. Ride Recover is a natural and organic sports moisturiser that can be used when your skin needs extra help to recover after being exposed to the elements. It’s light and absorbs easily into the skin with a smooth texture. Aloe Vera, green tea and high grade olive & peppermint oils help to rehydrate and replenish the skin. Ride Skincare products are proving popular with cyclists, runners, swimmers and surfers all over the UK who love the protection is offers. Ride Skincare’s products along with 100% organic cotton t-shirts and caps are available on their website, rideskincare.co.uk with free shipping on orders over £15. They are also available in store in Wilshire through Pewsey Velo (pewseyvelo.com) and in Hampshire via Fitique sports boutique (fitique.co.uk).